These workshops promote group discussions and team presentations on topics addressing top youth questions on professional and life success, aspirations, expectations, infuences, roles, models, career paths, challenges, conficts & pragmatic compromises etc. (d) an informal 2 hour long Q&A sessions for an audience of about 50. In addition, we do come up with customized programmes that can meet the needs of host institutions and forms part of our broad charter. These programmes are delivered by experts from Industry & Academia apart from eminent traditional speakers. Many times there are so many incidents in the Life of Swami Vivekananda that we can leverage & get inspired by. A nice fun way of knowing about it to attempt this quiz. Newer quizes will be added soon! Enjoy! 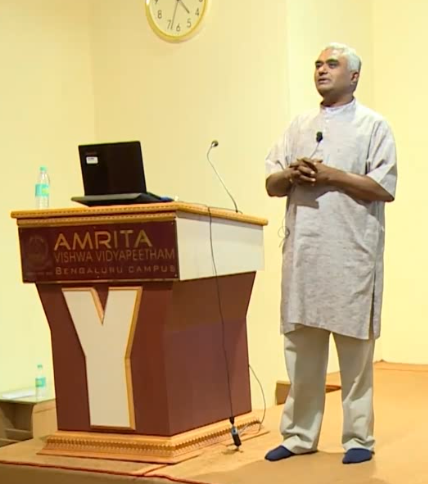 Vivekananda Janoththana is focused on reaching out to the Indian youth at large, with mechanisms and means inspired by Swami Vivekananda and the lofty Indian heritage- to enable them to bring out the best in themselves to face the world and serve the society. We believe that excellent professional skills and talent or the accompanying successes do not alone make for a holistic personality. There is more to developing one self than having typical softskills like articulate communication or a pleasant demeanour. We believe that having the grit to develop oneself on multiple dimensions, more so, leveraging our excellent heritage in these matters is vital for every Indian. • Empower them to strengthen their character & personality through structured Vivekananda Lifeskills programmes. • Build socio-economic bridges between such groups empowered thus with the economically successful. 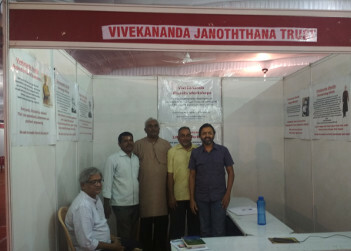 Vivekananda Janoththana Trust was established in Bangalore in 2007 & its varied programmes are run by inspired team of volunteers under the guidance of a committed Board of Trustees. We gladly welcome enquiries for the Vivekananda Lifeskills Workshop as well as those seeking to volunteer or support these activities. Kindly drop an email at: .